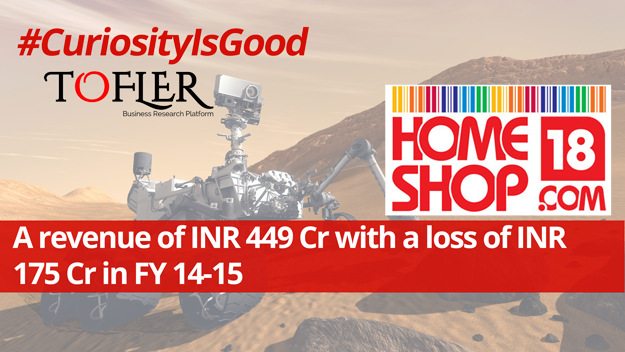 TV18 Home Shopping Network Limited, which owns and operates HomeShop18 has reported its latest revenue figures for FY 14-15. 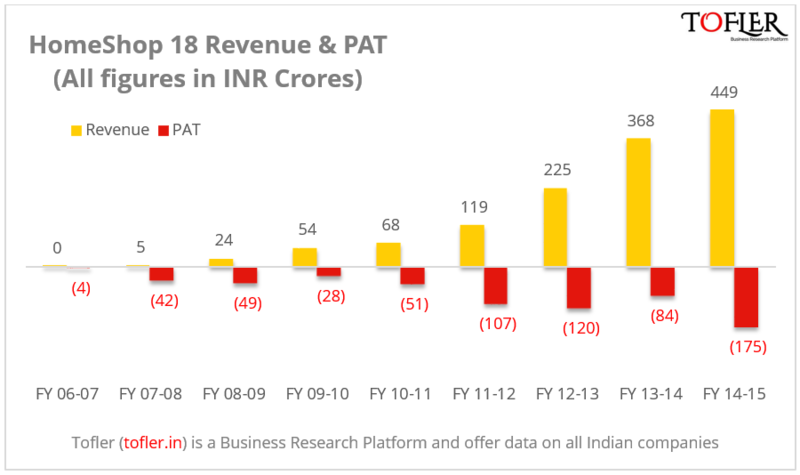 Total revenue figure stood at INR 450 crores compared to INR 368 crores in previous fiscal, registering a growth of 22%. 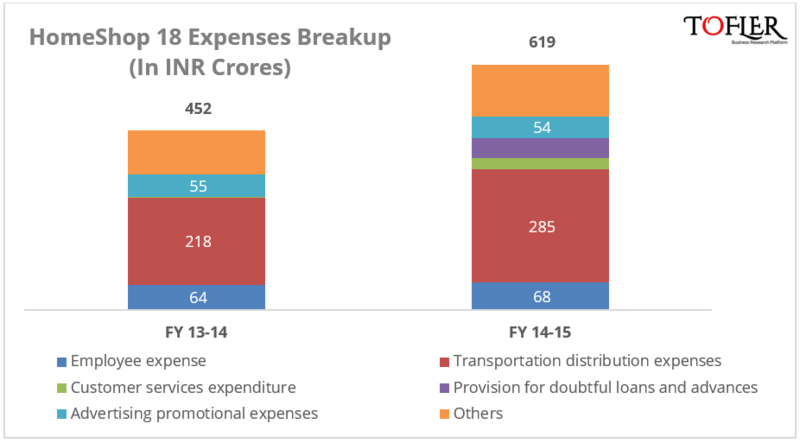 The loss figures doubled from INR 84 crores in FY 13-14 to INR 175 crores FY 14-15. The revenue from operations stood at INR 444 crores which grew by 23% over the previous year. This is comprised of ‘Commission on sale of products’ (98%), ‘Reimbursement of freight and collection expenses’ (1%) and ‘Sponsorship income’ (1%). HomeShop 18 is among the leading digital commerce platforms in the country. It has presence across TV, web and mobile. However, the TV channel contributed 99% to the company’s revenues in FY14-15. The company offers digital, clothing, lifestyle and appliances from over 1500 brands in the country and operates on a marketplace model. As per its Directors Report – The Company has a combined reach of around 250 million consumers and has placed over 33 million orders in the last seven years. They also claim to be one of the largest marketing & distribution platform for mobiles and digital cameras in the country. Though HomeShop 18 was the first entrant among the three in 2006, its operations started in 2008 only. Naaptol (2008) and Shop CJ (2008) came around later. Other new entrants in the segment include Best Deal TV and Den Snapdeal TV. Although the number of internet users in India is on the rise, TV still has the largest viewership and maximum reach as far as households are concerned. This fact has led a number of players to enter into the TV Home Shopping segment. 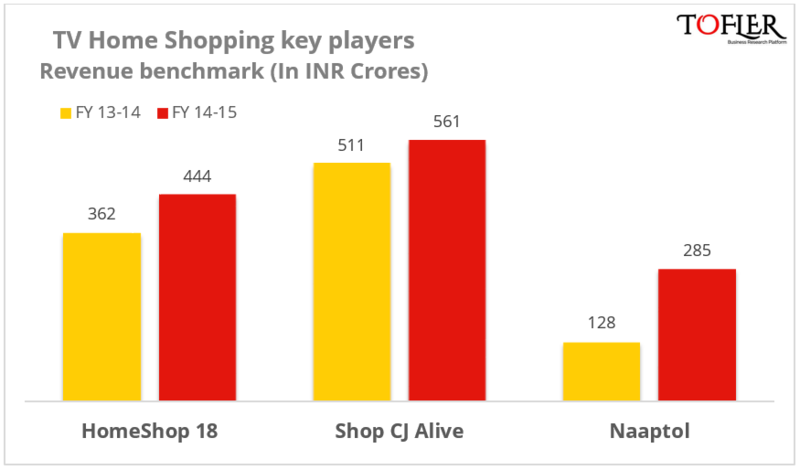 In fact, Snapdeal partnered with Den to launch Den Snapdeal TV in September last year, and it is among the bigger TV shopping portals in India.